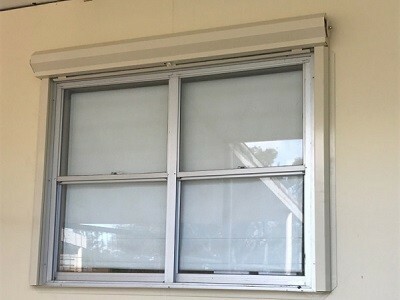 Two Windowshield fire shutter systems from Smoke Control were installed on the windows of a hospital located in Trangie NSW. The particular windows on the hospital were situated within three metres of the boundary and required fire protection to meet BCA compliance. (C) –/60/– automatic closing fire shutters. Smoke Control’s Windowshield automatically closing fire shutters provide the required 60-minute fire protection to openings located within three metres of a boundary.